The term “invisible braces” refers to any type of short-term orthodontic system that is less easily noticed than traditional braces. It also typically refers to systems such as Invisalign® that are used to correct cosmetic problems with front teeth. Problems invisible braces can correct include crooked or spaced teeth, crowded teeth, and a few teeth that are out of position. Among the many brands of invisible braces, there are three kinds from which users can choose: ceramic, lingual, and clear aligners. Each uses different means to straighten teeth, and each achieve different levels of discreetness. Short-term ceramic braces use brackets and wires to straighten teeth, just like traditional braces. However, the brackets in ceramic braces are clear, so they’re much less visible than traditional braces, which use metal brackets. 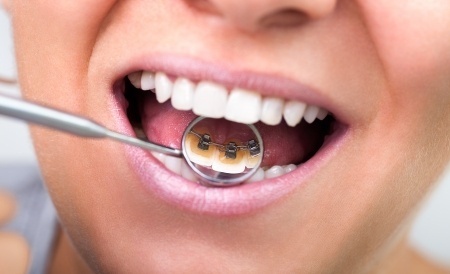 Some short-term ceramic systems like Six Month Smiles® also come with tooth-colored wires. The colored wires help make the braces even less noticeable. Short-term ceramic braces take an average of just a few months — sometimes as few as six — to achieve results. They work so fast because they only work to alleviate cosmetic issues with the front teeth. They also require fewer office visits than traditional braces. Traditional braces, on the other hand, take an average of 12 to 24 months to work. But they’re used to also treat bite-related problems, not just cosmetic issues, and they work to align all the teeth in the mouth, not just the front ones — reasons why treatment with traditional braces averages longer than for short-term orthodontic braces. While short-term ceramic braces have their advantages — and we forgot to mention that they less often bother their wearer’s gums and cheeks than traditional braces do — they are more expensive than traditional braces. Dentists and orthodontists do sometimes discount these treatments, however, so keep an eye out for these deals. Aligners refer to clear, removable trays made of plastic or ceramic material that fits over teeth. The trays put low-force pressure on the teeth and move them over time. The most well-known clear aligner is Invisalign®, though many others exist, such as ClearCorrect™ (which we offer at White River Dental). Many dentists offer these systems, though some companies such as Smilelove and Smile Direct Club allow clients to order directly from their website. While these direct-order companies tout their discounted costs, their systems pose a big risk for lackluster results. Clear aligners take longer to straighten teeth than do braces, short-term or otherwise. On average, it takes between 9 and 18 months to complete the straightening process using aligners. During this time, users will switch out between about 18 and 30 custom trays, each of which bring the teeth into better alignment. The advantage of clear aligners is, of course, that they are “invisible.” There are no brackets or wires, so they are more discreet than braces. Wearers also must take them out while eating and can more easily perform regular oral hygiene. And there are no restrictions as to the types of foods wearers can eat. The downside to clear aligners is their price. They cost less than ceramic braces, but at an average of $5,000, they’re more expensive than traditional braces. Clear aligners will also stain if they’re not cared for, so wearers will have to invest in Invisalign® cleaning crystals or denture cleaners in which to soak the aligners. It’s also possible to lose the aligners, and they are costly to replace. 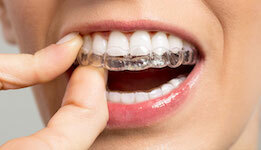 The third kind of “invisible” braces are lingual braces. Developed for the demand for discreet braces, lingual braces offer many advantages of traditional braces without the aesthetic drawbacks. Like traditional braces, lingual braces use a bracket-and-wire system to align teeth and repair bite issues. The difference is that lingual braces are placed on the back (lingual) surface of the teeth rather than the front. Thus, they are virtually invisible because of their low profile. 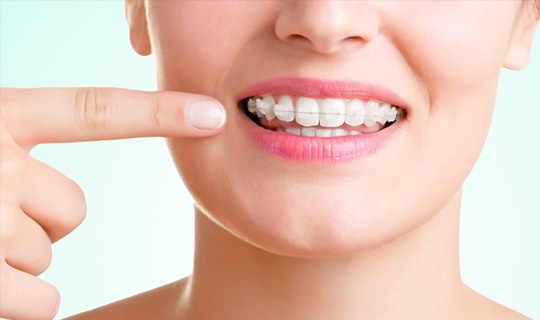 One advantage to lingual braces has over other short-term orthodontic systems is that a wider range of clients can use them, as both adults and juveniles can use lingual braces, and the braces can treat more alignment problems than can clear aligners or short-term ceramic braces. Many cosmetic systems are only approved for adults, but because lingual braces use brackets, they’re more versatile. Lingual braces are also easier for wearers to adapt to than traditional braces for sports or playing wind instruments. There are multiple downsides to these braces, however. One is the cost: they are by far the most expensive alignment system to install. The second is the extra time you might spend at the orthodontist’s office. Lingual braces can be more difficult to adjust. Lingual braces are also more difficult to clean than traditional braces and can be more uncomfortable at first than traditional braces. So, are you ready to take the next step? 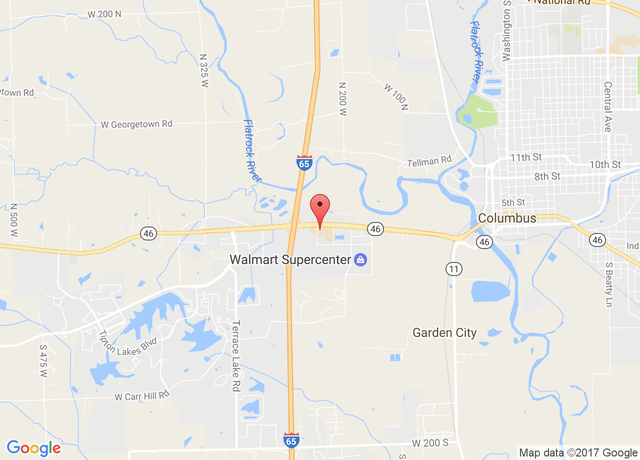 White River Dental in Columbus, Indiana, offers both Six Month Smiles® and ClearCorrect™ for cosmetic alignments. If you’d like to learn whether these systems are right for you, contact us to schedule an appointment.